Every day, we see amazing creators doing what they love and selling their work directly to their audiences. Many are making great livings, and thousands more are on their way. However, so many creators have creative talent and drive ... but no audience. With Gumroad Discover, we’ll help you grow beyond your friends and core followers to a much wider group of people who care about you and your work. You make awesome stuff, we recommend it to awesome people. 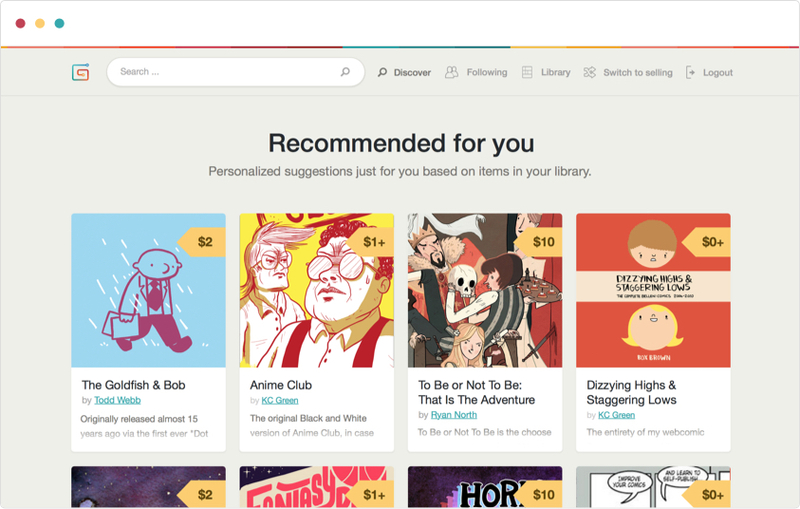 Gumroad Discover works by recommending your products to buyers of related work from other creators after they’ve made a sale. Recommended products will show up on receipts and download pages. But that’s not all. Products by creators with Gumroad Discover enabled will be searchable at gumroad.com/discover. And we're constantly thinking about new ways to showcase your work. We take 10% in additon to our existing fee and that’s still less than the other guys. Products purchased by new customers via Gumroad Discover— on receipts, download pages, and at gumroad.com/discover— will be subject to an additional 10% fee. We believe that’s a fair and small price for selling your work to people who weren’t in your audience before (but who then become part of it!). The additional fee will only be applied to purchases made by customers who haven’t purchased from you before, in other words, to purchases made by customers who find you for the first time via Gumroad Discover. The fee for products sold by you directly to your audience or otherwise outside of the Gumroad Discover feature will not be affected. Share you work with a network of nearly one million starting today.